More than 15 years have passed since University of Alaska doctoral student Lisa Schwarzburg sought a midwife in rural Georgia to facilitate the homebirth of her third and fourth children. Since then, this lifelong student has long sought to understand societal impacts on birthing practices and a woman's process of becoming a mother. 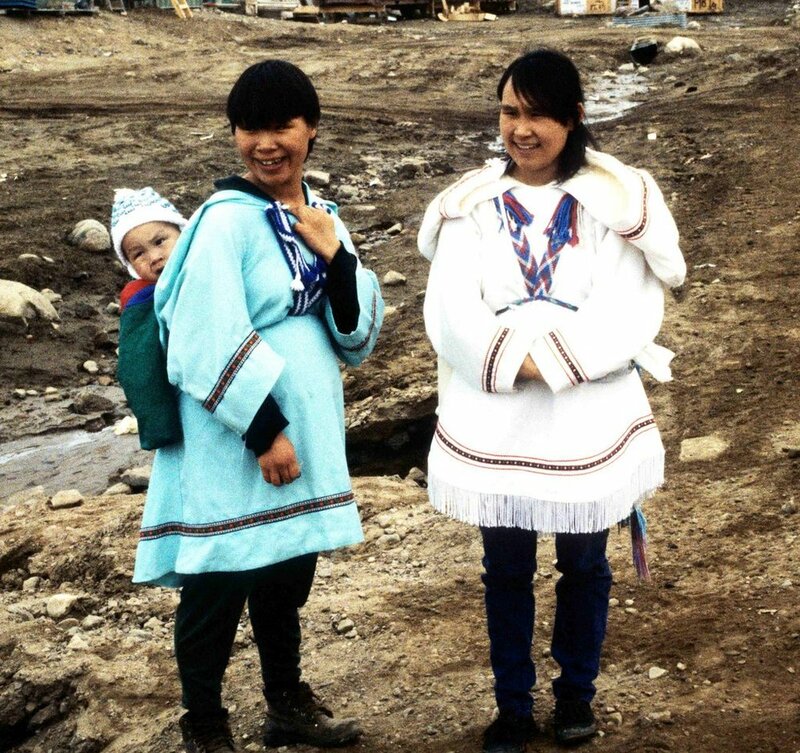 Today Schwarzburg is focusing her curiosity on a community of pregnant Iñupiat women. As part of her doctoral dissertation in interdisciplinary studies, Schwarzburg is studying women's perception of themselves, as they become mothers, a process known as "maternal attainment." She's studying this phenomenon in the context of the Alaska Native Village Maternal Transport (ANVMT) Policy, which, since 1973, has flown "high risk" women late in their third trimester from their villages to urban centers to give birth in medical centers. "Birthing, and associated motherhood, are socially constructed experiences," says Schwarzburg, who aims to explore how birthing experiences and the ascent to motherhood impacts a woman's confidence with motherhood in her community. Beginning this summer, Schwarzburg will follow up to four native women (and those within their respective social networks) who are pregnant with their first child and considered high risk to document the impact of the transportation policy on their inaugural weeks as mothers. She will interview the women before they give birth, while they are at the birthing center, and immediately following their return home. "The follow-up is to register in a very real way what is involved for these women when they have to navigate the trip from the hospital in Anchorage (packing all these new items for the baby, getting all the items in the taxi, waiting in line at the airport, going through security) with a newborn baby in tow for the very first time, by herself," says Schwarzburg. "Then, I will see what she and her baby experience on their entrance back into the community, as new members: a person who left as an individual and came back as a mother, and another new person." Schwarzburg will look for rituals, both old and new, and study how the mothers adapt to their community with their new identity. 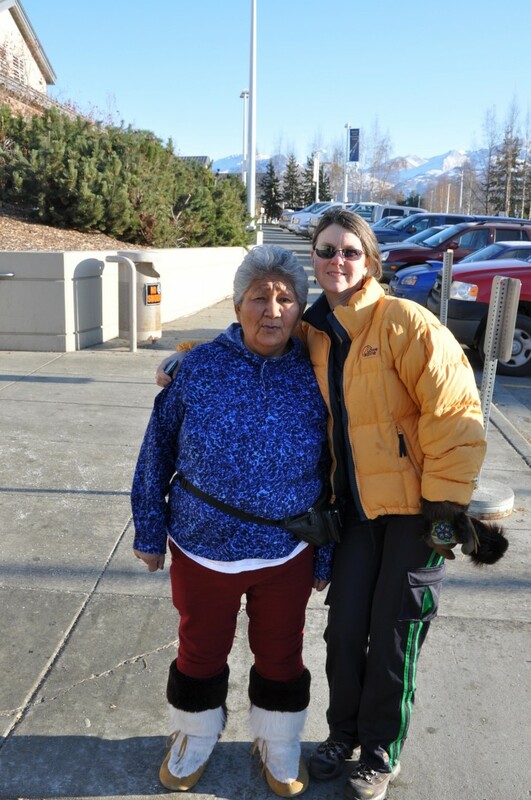 Even though the Alaska Native Medical Center has the lowest nationwide C-section rate among all Indian Health Service hospitals, Schwarzburg believes her research will shed light on the high rates of intervention and use of medicine in childbirth and explore the possible connections between mainstream technological birth and less-than-optimal health outcomes for mothers and babies. "The Arctic environment has obviously played a role in development of policy to fly these mothers out for birthing," she says. "But, what factors loom large in the policy for "once a C-section always a C-section?" and other non-supported policies involved in childbirth? Medical Anthropology helps tackle these questions." Schwarzburg says that with maternal behavior implicated in causes of syndromes Fetal Alcohol Syndrome and Sudden Infant Death Syndrome, her study’s techniques could be used in future studies addressing a possible link between maternal role attainment and subsequent behavior. In short, she hopes to answer the following question: What is the IMPACT of the ANVMT Policy on the mothers and families of the Northern Alaska Native Communities? A mother of four children, Schwarzburg herself has experienced both medicalized and natural childbirths. Her first two kids were born in a hospital while her second two arrived at home with the help of a midwife. She says her personal experiences have underscored how strongly society influences a woman's perception of herself, as she becomes a mother. She points to her own family; Schwarzburg's grandmother delivered nine children at home in rural Alabama with a "granny" midwife. By the time Schwarzburg's mother had children in the 1950s, though, home birth and granny midwives were considered "backward, unsafe, and a sign of poverty," by many in her mother’s generation. By the time Schwarzburg orchestrated her own homebirth, her mother was "very confused as to why I would actually seek this option." With funding from the National Science Foundation, Schwarzburg's research aims to provide a more holistic, culturally inclusive analysis of rural child birthing practices and the policies of health practitioners toward Alaska Native women. In addition, Schwarzburg will offer the primary participants the chance to compose a list of itemsthey feel will be helpful to future mothers-to-be undergoing similar experiences. "I see this opening the door to the future truly community-based research," says Schwarzburg.